New #1 Net Merit heifer in Europe: DG Eli - NM $ 1045! 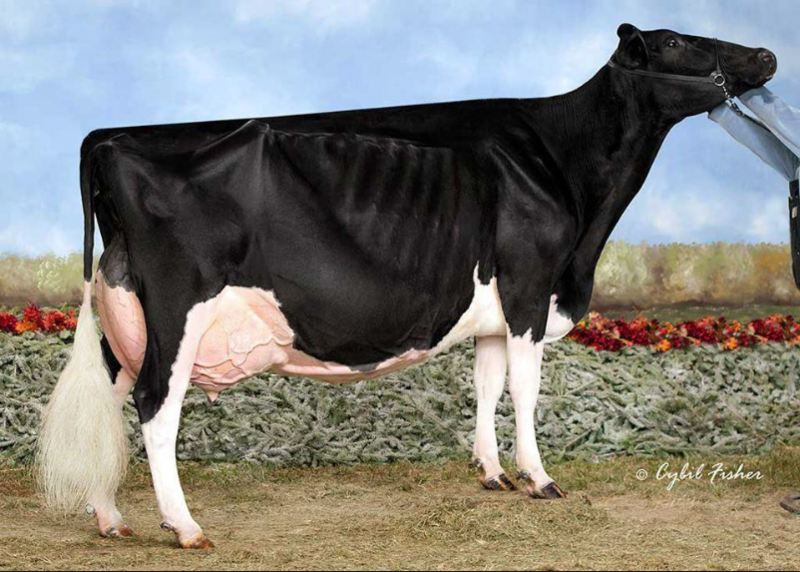 There is a new #1 Net Merit heifer in Europa: DG Eli with $ 1045 Net Merit in her preliminary index which came back today. 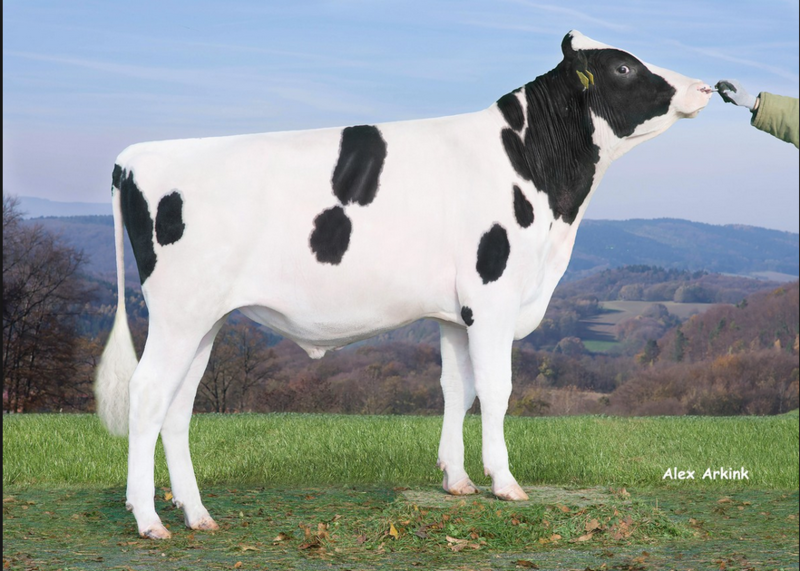 DG Eli is one of the very few daughters in Europe of De-Su Spectre, her mother is DG Albero Elise, the full sister of the heavily used sire of sons Eldorado @ AI Total, going back on the American Savage-Leigh Bellwood Linda. 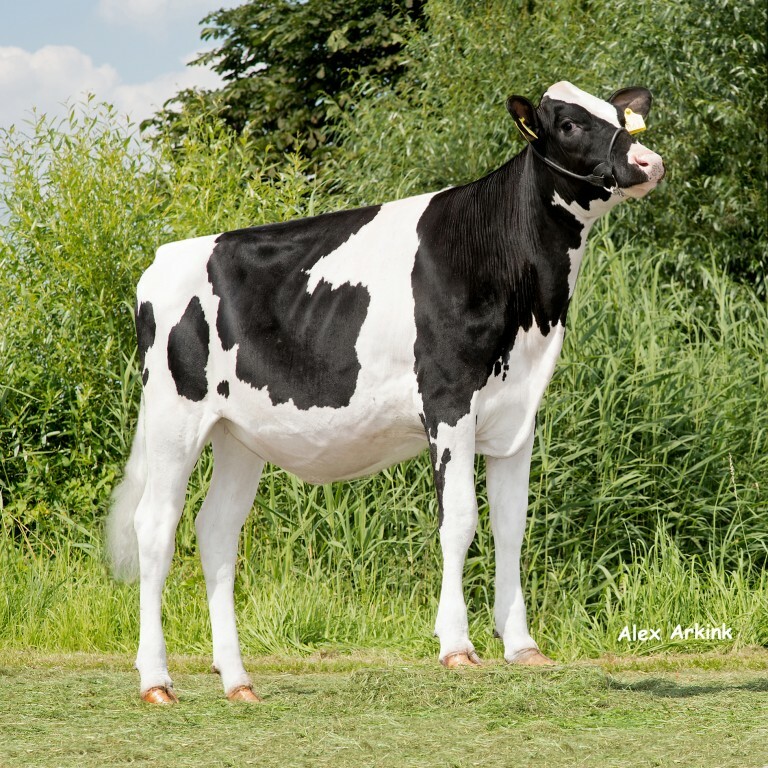 DG Eli is unique in the World with a combined Fat + Protein index of +197 combined with a high PL (+7.2) and very healthy udders (SCS 2.69) - as well she is one of the highest Feed Efficieny heifers in the breed: FE 274!